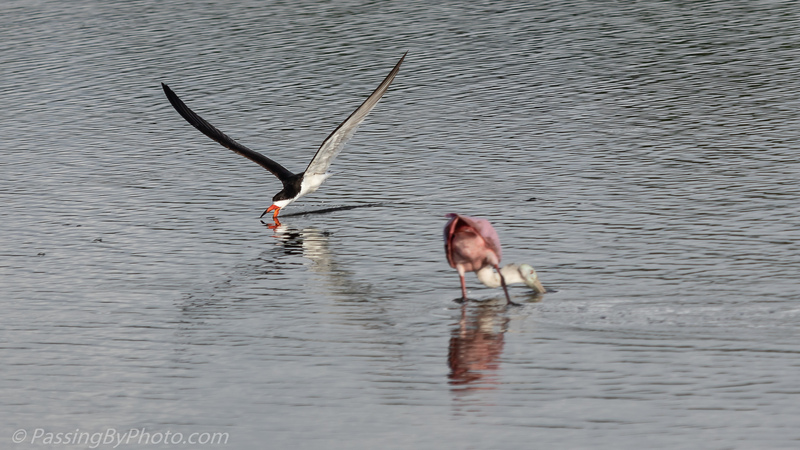 Doing their own thing to get breakfast, a Black Skimmer and a flock of Roseate Spoonbills ignored each other. 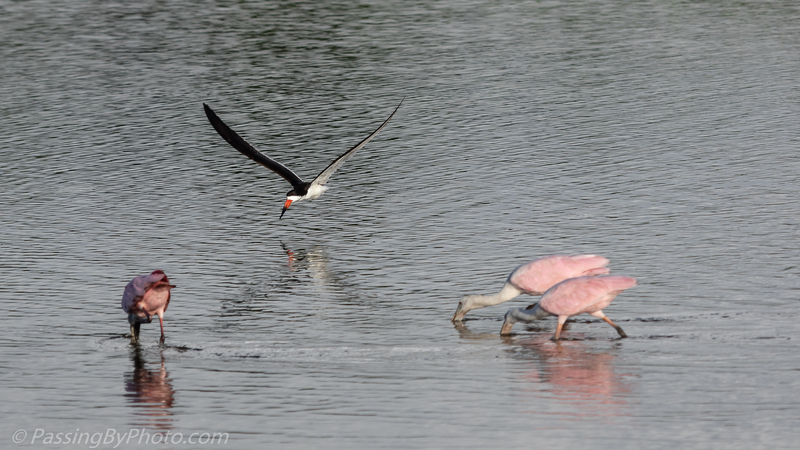 I was focused on the Skimmer and didn’t expect him to pass that close to the Spoonbills. 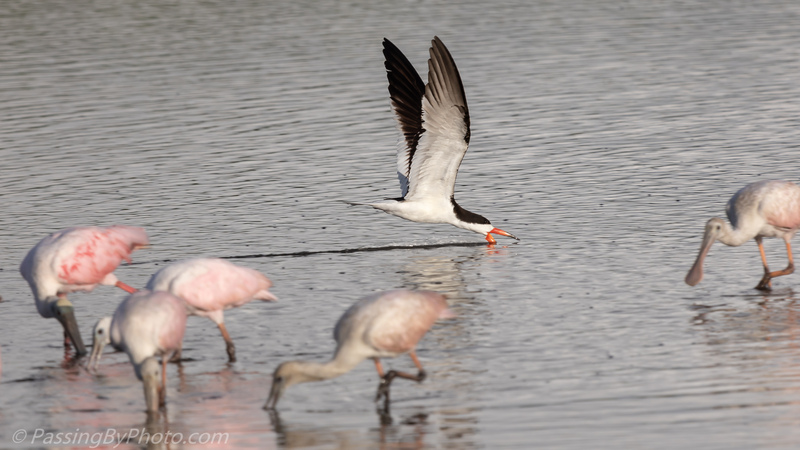 The Skimmer made a second pass, probably realizing that the concentrated efforts of the other birds meant that they were on to something. 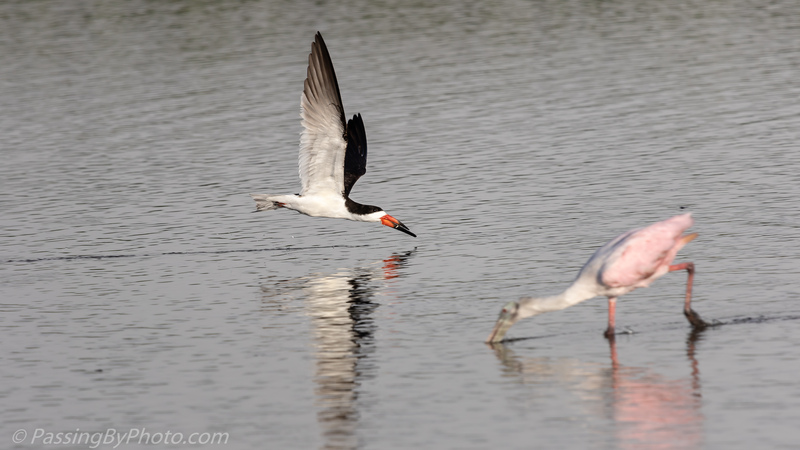 The Spoonbills continued sifting the water, not at all disturbed by the Skimmer.